OMG Posters! 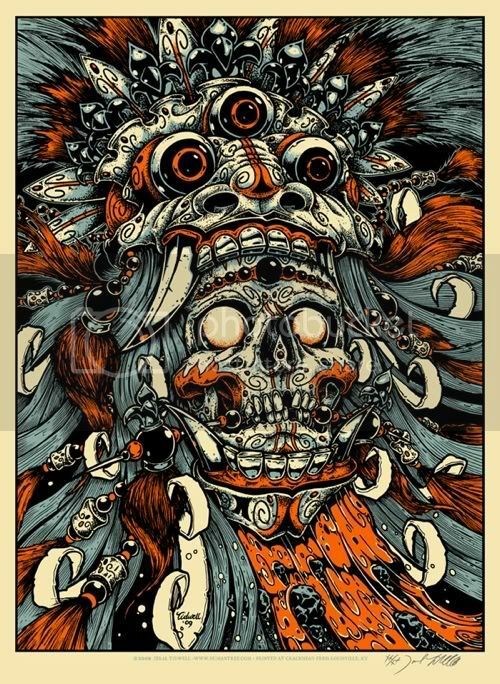 » Archive "Bali Mask and Skull" Art Print by Jeral Tidwell - OMG Posters! Been too long! Great to see more work from ya Jeral! This is a beautiful print. I am glad I bought two. Thank you Mr. Tidwell. I look forward to my future trip to Bali: a dream. I am enjoying all details and colors… Great artwork! congrats on the sell out!! !